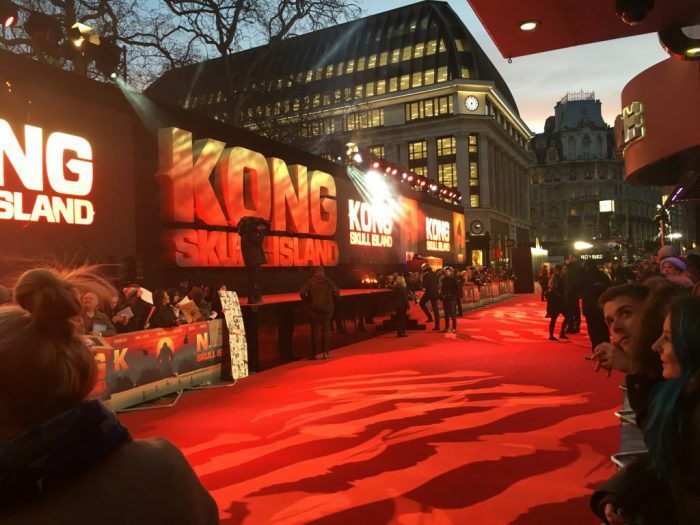 LONDON, UK – Since the world’s most famous oversized gorilla first appeared on cinema screens in 1933, King Kong has become one of the most renowned movie icons, with countless comics, video games and theme park rides adding to a string of film remakes. Now the iconic ape has surfaced again with the release of the Warner Bros. film Kong: Skull Island. 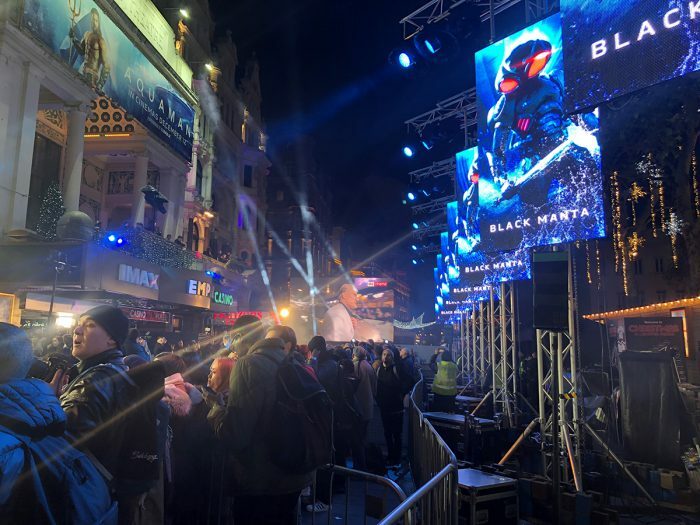 At the recent UK red carpet premiere of the highly anticipated film in London’s Leicester Square, Limited Edition Event Design added to the glitz and glamour of the proceedings with a 36 meter long video wall supplied by Image Production Services. 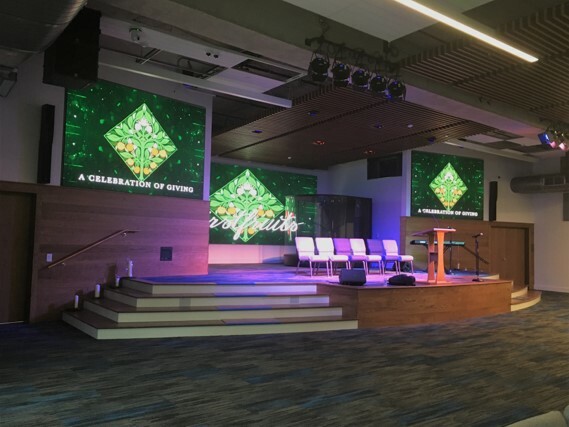 The low 6.9mm pixel pitch and the 4,500 NITS brightness of the PVP X6IP panels made them well suited for displaying video content and King Kong graphics with exceptional visual clarity both during the day and evening. 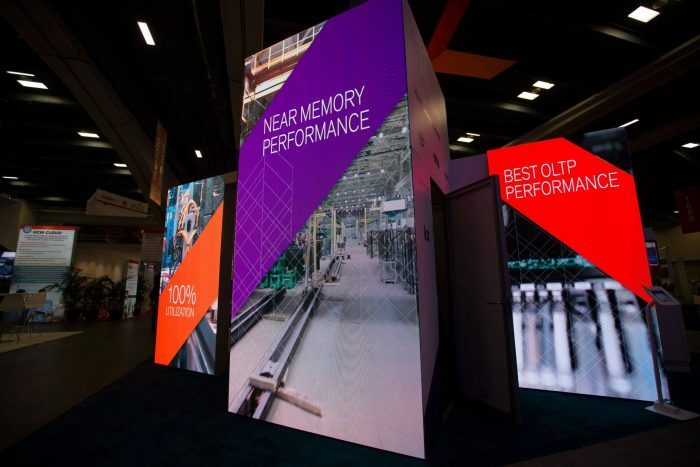 The video wall, which consisted of three separate 6.5m x 3m LED video screens, could be connected to the Layher trussing platform with effortless ease, thanks to sturdy die-cast aluminium housing and magnetic interlocking ability of the panels, a much appreciated feature for Warden and his team. 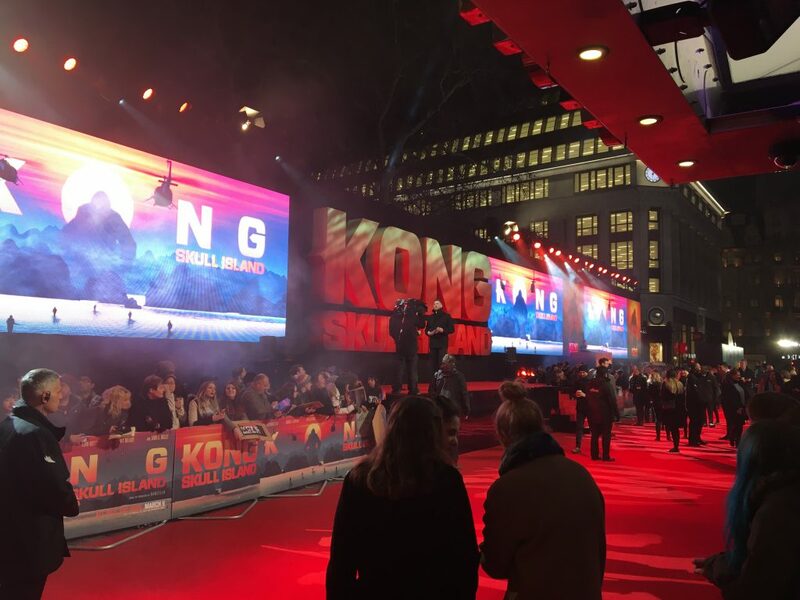 As one would expect from an outdoor film premiere in England, the heavens opened and the rain lashed down upon the red carpet in Leicester Square. Fortunately for Warden and his team, they were fully prepared for this eventuality thanks to the IP rating of the PVP panels, which enables outdoor use in all weather conditions.